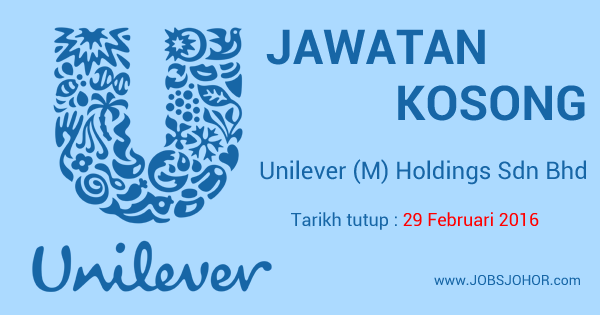 Jawatan kosong Unilever (M) Holdings Sdn Bhd 2016 di Johor Bahru. Warganegara Malaysia yang berminat dan berkelayakan dipersilakan untuk memohon kekosongan jawatan Unilever dibawah ni. Lead the regional Field Sales Force in achieving the sales objectives for the sales area as set in the Customer Marketing Plans and Customer Business Plans. Co-develop Field Sales Force Strategy together with Customer Development Director. Lead and plan sales resources in sales area. Lead sales force projects. - Formulate and develop the best team of Distributors that meet the expectations of Perfect Distributor Model. - Ensure ambitious target setting and stretching. * Monitor Region's Primary and Secondary sales vs. target and take necessary actions to achieve target. * Evaluate monthly activities carried out in the region. * Monitor Sales Manager's productivity and throughput. * Craft and develop strategies to deliver sales to targets. * Recommend activation or marketing plan which will drive growth in OT business. * Mentoring & training subordinates. * Conducting continuous field coaching to ensure field effectiveness. * Improve weighted distribution and increase market share. * Channel category plan implementation. - Expand outlet coverage in Region and build outlet leadership. - Evaluate the effectiveness of sales activities and recommend the necessary changes. * Issuing of show cause letter. * Involve in all scope of sales functions. * Sales Administration Cabinet Management (for ICF) e.g. monitor cabinet productivity and throughput. - Approve distributor’s cabinet allocation (for ICF), Credit Limit evaluation, claims & etc. - Maintain good business relationship with trade a Public Relation, Trade Associations and Distributors. 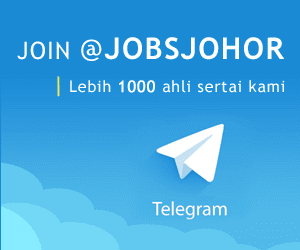 Sumber rasmi jawatan kosong Unilever diatas, syarat kelayakan dan cara permohonan online sila layari laman web JOBSTREET disini.